240 pages. 275x215mm. Printed on gloss art paper, casebound with printed board covers. This volume is intended to complement the series of books by Ian Pope on the wagons of Bristol, Gloucester and the Forest of Dean. 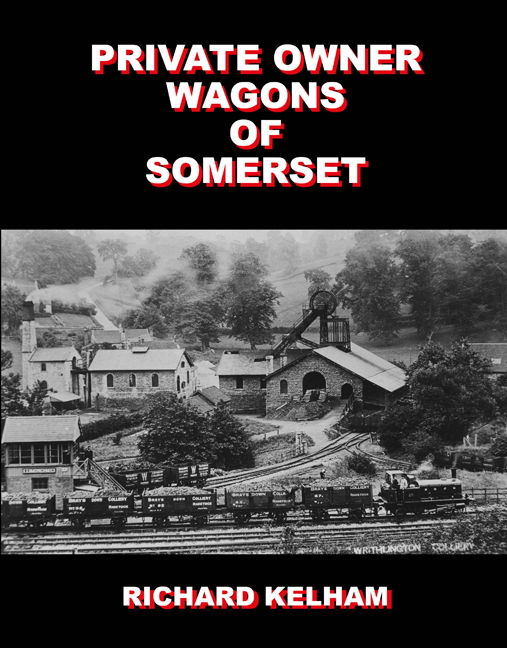 The book studies all the known wagon operators in the historic county of Somerset. This area was ‘blessed’, if that is the right word, with a number of extractive industries – principally coal and stone – which in turn meant there were more wagons owned here than in comparable rural counties. Illustrated with over 400 photographs, drawings, maps and items of ephemera, this volume enumerates several thousand wagons, belonging mostly to colliery companies, stone quarries, and coal factors and merchants, in use over the eighty years from 1860 to 1940. As well as identifying the owners, the opportunity has been taken to flesh out the people and businesses concerned to give an indication not just of the period but also the wider social and historical context in which the wagons were operated. Thus this book will be of interest to social and industrial historians as well as to aficionados of the private owner wagon. A Gloucester official photograph of 3003, newly built in May 1932. 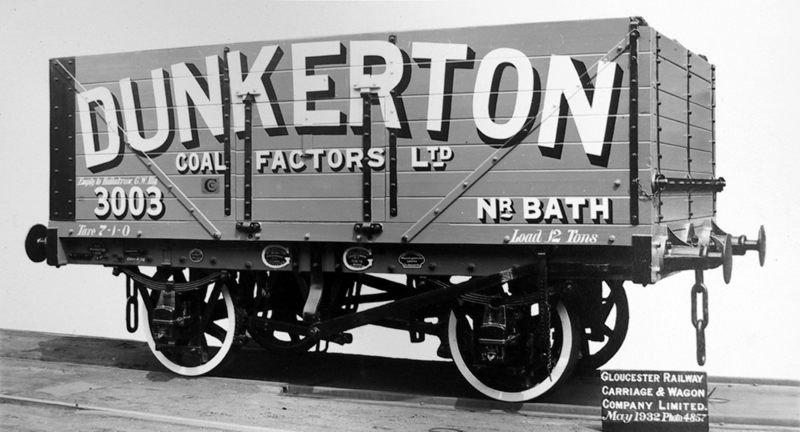 This was part of a batch of fifty wagons supplied on simple hire at 4s 6d per wagon per week, with the option to buy on 1 October 1933 for £78 per wagon. Was this option exercised? There is a gap in the records so we have no way of knowing. GRC&WCo. A couple of unidentifiable wagons at Sandford quarry which was connected to the GWR Cheddar Branch at Sandford & Banwell station. 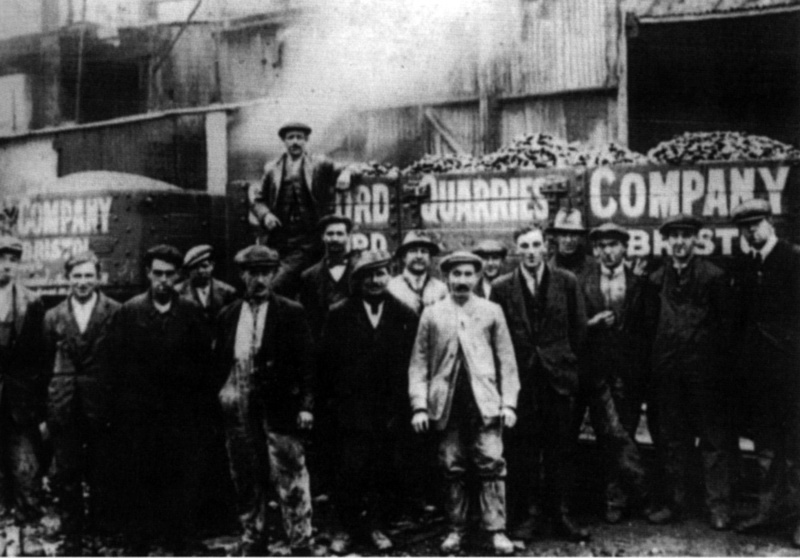 The quarry company, previously the Winscombe Stone & Lime Co. Ltd, became the Sandford & Conygar Quarries Co. in 1921 and was absorbed into Roads Reconstruction Co. in 1924.